Our interview today is with Matt Dusig, CEO of United Sample (www.unitedsample.com), an Encino-based startup focused on the online polling and surveying space. 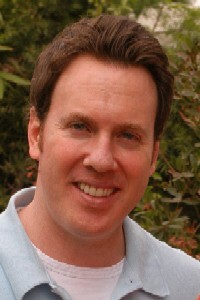 Matt and his partner Gregg Lavin were the founders of goZing, which they sold to Greenfield Online in 2005. Matt told us a bit about the new firm, what it's up to, and why he decided to start another online surveying firm, and told us a bit more about the firm's recent venture round. What's the idea behind United Sample? Matt Dusig: My background is, from 1999 to 2005, my partner Gregg and I ran an online survey business, which we sold in 2005. It's 2008, and we've decided to get back into the business. Online surveying works when companies, such as JD Power and Associates, Nielsen, and other well known market research firms want to do surveys over Internet, where it's cheaper, more cost effective, and faster. Their clients--like Ford, or Toyota--want to run their surveys online. So, when that happens, those market research firms go to a sample company, like United Sample, to get panelists who will take the survey. What we do is provide panelists who match a specific demographic, or geographic area, and offer a reward in exchange for spending time completing a survey. Typically, that reward is a payment via Paypal in cash for their time. A typical request you might see from a J.D. power or another client, is they need a thousand truck owners, who are men, who are 18 to 54 years old, in the U.S., who have purchased a truck in the last three years. We find those people, and take them out and reward them. Why'd you decide to get back in the business? Matt Dusig: After we sold our company in 2005, my partner and I felt that there was a lot more that we could accomplish in the industry. We decided that over the last three years, there has not been as much that has happened, technically, to make the business more automated, more efficient, and more interesting. We came up with a new business model, which we are planning to release in about six months, which will change how business is conducted today. How is United Sample different from your prior firm, goZing, and how are you going to change the business? Matt Dusig: Right now, it's like goZing, but in the future it's going to be very different. I can't exactly say how it will be different, because we don't want competitors to learn about our plans. But, suffice it to say we're going to shake things up a bit. We're going to build something disruptive, to use a nice catch phrase. Can you talk about what this is -- software, or services? Matt Dusig: The service part is where we make the B2B sale, and sell our service to market research firms. We have to provide a certain quality of service for them to utilize us. But, what we do on our back end is use technology to make the business more efficient, and provide better tools for clients to want to use us again and again. We are building some advanced, robust systems using Amazon.com's cloud computing platform, and that is working very well. Matt Dusig: Yes, we back up our data to Amazon S3, and use EC2 to scale the amount of servers we have at a moment's notice. The biggest problem at goZing is we'd have these spikes in traffic, and our servers weren't able to handle it. That slowed us down. With the Amazon solution, the servers tell us when they're busy, and self-replicate. If we need a hundred servers, we will go out and replicate them and create a hundred. Tell us a bit about the funding and what you're hoping to do with it? Matt Dusig: The funding came from the DFJ Frontier fund, and we started building up the technology and business before receiving money. We probably could have built it on our own funds, because we already know how to build it, the business is already in place, and it has revenue. But, funding allows us to grow faster. The funding will allow us to plow more money into technology, and engineers, who are developing this future platform we're working on. Talk a little bit about the experience at goZing and how that went for you? Matt Dusig: It was great. We built that business, having raised $1.6M in angel funding in 1999 and 200. We were almost out of business a couple of times through the dot com bubble, and used our personal credit cards to keep the business afloat. A couple of years later, we sold it for more than $30 million. It was a great home run for us and our investors. It's a great testimonial for us as employers, is that we have re-build United Sample with a team of 4-5 employees who used to work for us back then. Those are the new hires that we've mentioned in our launch. It's king of getting the band back together. Why jump back into another startup, and what have you done since goZing? Matt Dusig: We built a couple of other websites since 2005. You can go to Webtigo.com, and some other websites, including Yoname, a social networking search engine. With Yoname, you can type in "Matt Dusig" and it tells you where some is on Facebook, Myspace, and YouTube, and shows their profiles. We also built a site called Tourcaster, which is a travel site, which allows you to download audio tours on your iPod. If you're going to Rome, you can download a self-guided audio tour. We've been having fun building businesses, though I would call those fun businesses. This one has serious potential. How did you connect with DFJ Frontier? Matt Dusig: Their partner, Scott Lenet, has been working with us since 2000, when he was on the board of goZing. Scott was very instrumental in getting goZing sold. When we decided to get back in the business, and they heard about our plans for the future, they wanted to be involved in this.